This portrait of Louis XIV of France (also known as the Sun King) was painted by the painter Hyacinthe Rigaud in 1701. The greatest of all kings is featured with a long curly wig and clothed with a somptuous coronation costume and all the attributes of royalty and power: the sword of Charlemagne, the royal crown, and a scepter. This painting is now in the collection of the Louvres museum in Paris. 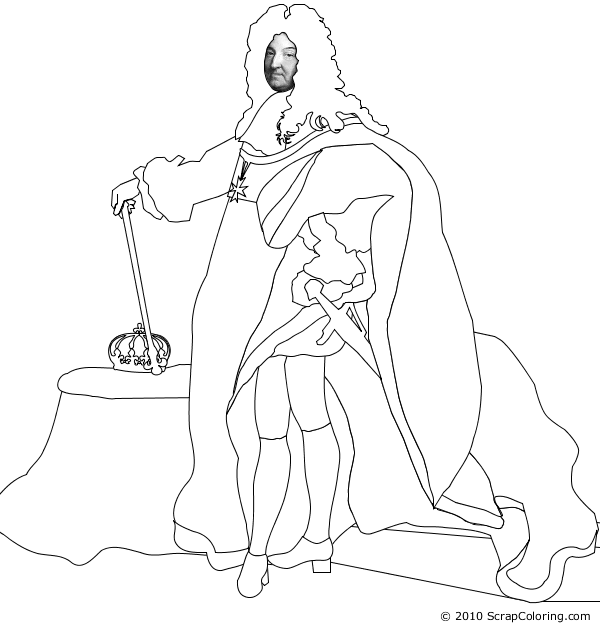 If you do not see the online coloring page Louis XIV of France - Hyacinthe Rigaud in black and white above, you need to use another web browser: see the page Supported Browsers.